It’s easy to promote your business, products or special event with our 15oz high-quality block out banner. They are heavier than our 13oz outdoor vinyl banner. Additionally, our blackout banners provide a smooth Matte finish which is perfect for displaying large colorful graphics or images. We offer a large selection of sizes to fit your promotional needs. They are great for maximizing your message indoor; announce special occasions or displaying a congratulations message. The possibilities are endless! 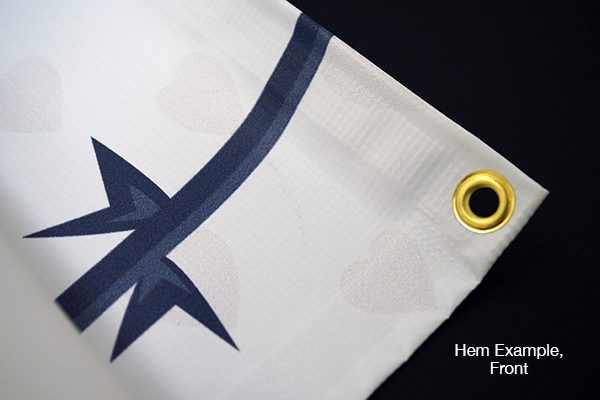 You have the option to include grommets or hems for easy hanging. Please note, add grommets either every 2 feet or located at the corners only. They have a low curl, which allows them to be easily stored in a tube enabling them to stay smooth when rolled out for display. Captivate any crowd with a custom indoor vinyl banner! 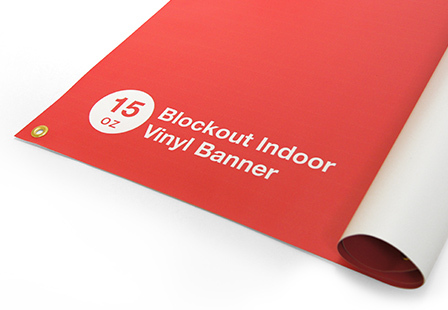 Material: Our 15oz Blockout Vinyl is our highest quality banner. Its smooth surface provides for high level of print detail so it can be viewed up close. Blockout Vinyl is opaque so it won’t let sunlight through. 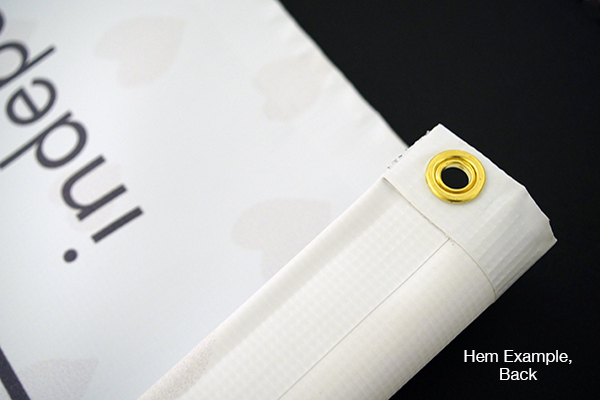 It’s heavier and more durable than our 13oz Outdoor Banner and it’s low curl so even if it’s stored in a tube, it will stay flat when rolled out. This material is typically used for banners, flags, signage, trade shows, or other events. File Setup: Your artwork should be the exact size of the banner that you are ordering. No bleed or crop marks. Vector files are preferred, raster files should be full scale at 300DPI. We suggest you keep any important text / artwork 2 inches inward from the edge of your artwork as to avoid any elements being cut off. Please Select 24" x 36" 24" x 48" 36" x 48" 36" x 60" 36" x 72" 36" x 96" 36" x 120" 36" x 144" 48" x 72" 48" x 120"
We suggest you keep any important text and/or artwork 2 inches inward from the edge of your artwork as to avoid any elements being cut off and/or hemmed over.